The best skins on the planet! Easy on, easy off with patented 3M adhesive! Defend your device with durable anti-scratch, anti-UV coating! GelaSkins are removable covers for protecting and customizing your portable devices. They feature stunning, photo-quality graphics ranging from fine art prints to contemporary urban images designed by ourt growing family or artists from around the globe. Stand out in the crowd with personalized protection from GelaSkins! Patented 3M adhesive make GelaSkins easy to apply with no residue left behind. The adhesive allows you to reposition the skin so you can easily get a perfect fit. The advanced 3M adhesive contains patented micro-channels that prevent air bubbles from forming and allow for easy application. 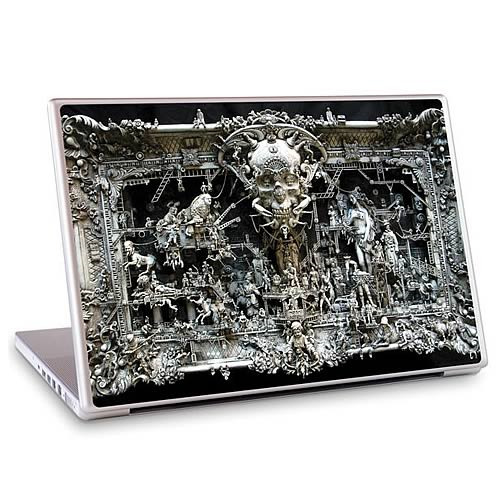 Give your computer some style with this Kuksi Deadly Sins 15-inch laptop skin! Order yours today!